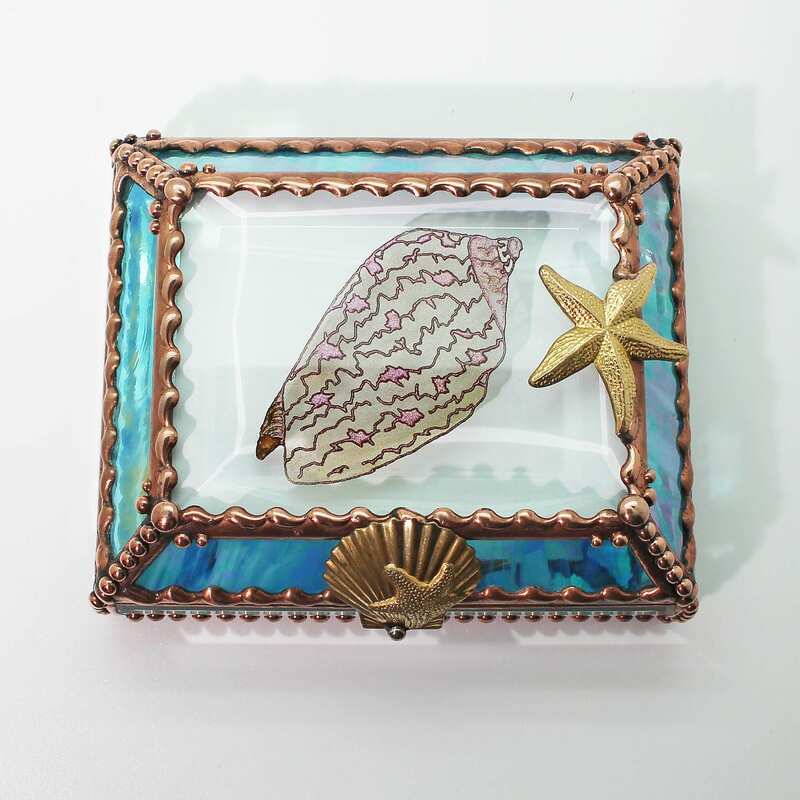 Sea Shell..... Translucent and shimmering hand painting sets off this Sea Shell design. 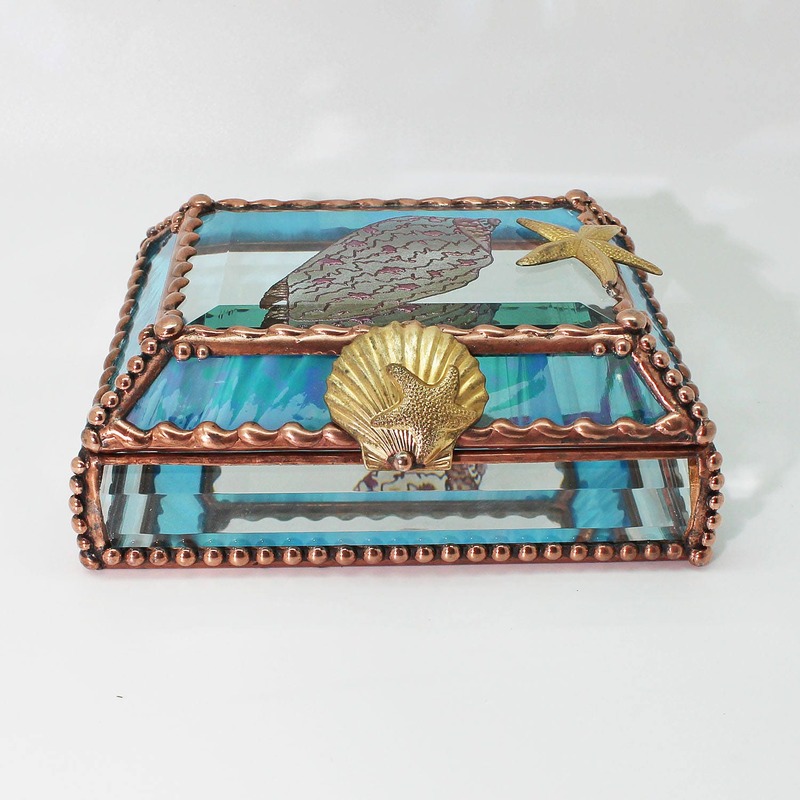 Streaked aqua iridized glass reflects off the glass surface and is accented with hand worked metal. Each bead and texture created one at a time. Heirloom quality. 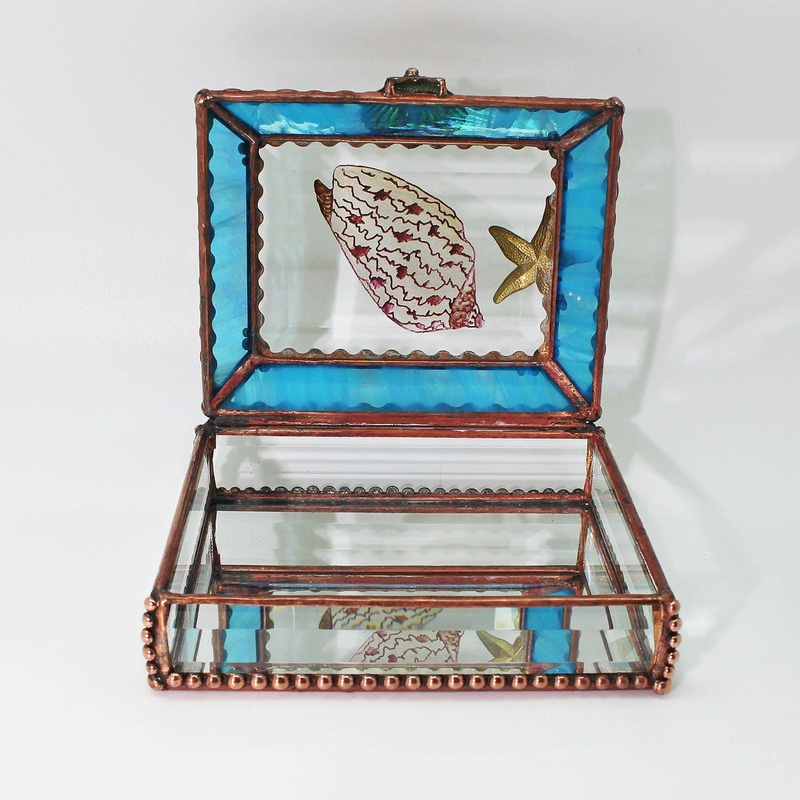 A completely unique treasure box designed to last a lifetime. Size 4" x 5" x 2"